Disclaimer: this article might be most suitable to my Indonesian friends since we usually have the same thoughts and worries about what to do next after our time in Australia has finished. Getting a higher degree is one of the best choice to make your hard-earned money in Australia beneficial for your future. I know this is not for everyone. Lots of people think they have had enough of school. Nothing is wrong with your thoughts and decision. Getting a higher degree is not compulsory for everyone and not all occupations need a master’s or doctoral degree. But, if you happen to think about getting it, you can absolutely do it! Be it in your home country or abroad, it really is possible. If you’re thinking about getting a degree abroad, there are some countries that offer low cost education with high quality, such as: Taiwan and Germany. Here is the list of countries that offer affordable education: https://www.topuniversities.com/student-info/studying-abroad/10-most-affordable-places-study-abroad . After living in Australia for a while, I’m sure you’ve come to realise that English is not the only international business language. Yes, that’s right! Mandarin Chinese seems like the second national language in Australia. At least in Sydney. Trust me, there are lots of more opportunities if you speak the second international language, where ever you are! Now, if you think about learning this second language, I’ve got just a good news for you. The national language in Taiwan is Mandarin Chinese. Do you remember before the KDrama era, Taiwanese dramas were all over our TV stations? If you remember Meteor Garden, F4, Rainie Yang and even Jay Chou, they are all from Taiwan. And as mentioned on the list above, Taiwan is also one of the most affordable places to study. If you think learning Mandarin Chinese in Indonesia would not work for you because you don’t get to use it everyday, then you can surely go to Taiwan and take Mandarin Chinese classes there. Your savings in Australia will most likely be enough for your study and living cost. Be sure to check out my previous article on : Why Taiwan is the Best Place to Learn Mandarin Chinese . If you’re not interested in learning Mandarin Chinese, don’t worry! I’m sure there are also language programs in European countries like France, Spain and Germany. You just need to do some research to find what you want. If you’re lucky and you get a job with sponsorship in Australia, that’s awesome! You must be one of the luckiest few people in the world! But most of us don’t. You think you don’t have much choice but to join workforce in our home country, Indonesia. Your head already rejects a million times to accept any job offer because you know the salary must be much lower that what you can earn back in Australia. But well, no director started as a director, unless their parents own the business. The thing you need to keep in mind is that a career in Indonesia doesn’t give you an instant big paycheck as you get in Australia, but if you work smart and hard, it will give you a long term benefit. For instance, if you work as a banker in Indonesia, your starting salary might not be very high. But if you work smart and learn as you do your job, you might become a successful banker who is expert in, let’s say, investment and stock market. After a few years, your salary will adjust as your experience and knowledge increase. At the end of the day, you are the person who decides what’s best for you. Do what you want and what you can. I don’t think one option is better than the other since each and every one of us has our own talent, skills, interest, needs and purpose of life. I believe we all want to choose to do things that can lead us to our main purpose of life 😀 Whatever we choose, we just have to be responsible of our choice and work hard to achieve our goals. I’ve recently been on a trip to Taiwan with one of my high school BFF’s. It was a 9-day trip around the island. Even though it wasn’t quite enough to explore all around the island, at least we got the chance to see some of their famous tourism objects. In this post, I’d like to share as much information as I can recall: budget, itinerary and special tips. I didn’t take notes on all the details, but I think this would be enough to give a clear picture of the trip and help you plan your trip. I booked Tiger Air round-trip flights from Jakarta to Taipei for 5 – 14 May 2016. I booked the ticket in October 2015 for Rp 7.2 mio for 2 persons (appr. US$ 550 with only 1 x 15kg luggage). 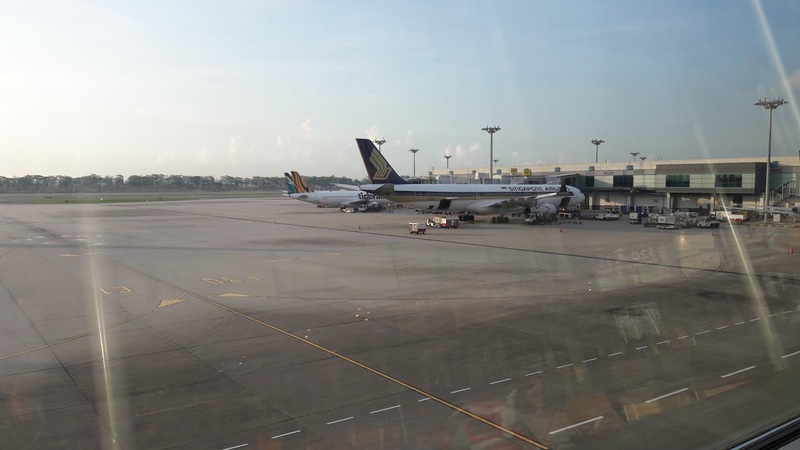 There was a stopover in Singapore and the price did not include luggage transfer. So, we had to get our luggage after the immigration counter and check-in again at the check-in counter. Since we had to spend a night in Singapore before our early morning flight to Taipei (at 8.45 AM), we decided to sleep at the airport. 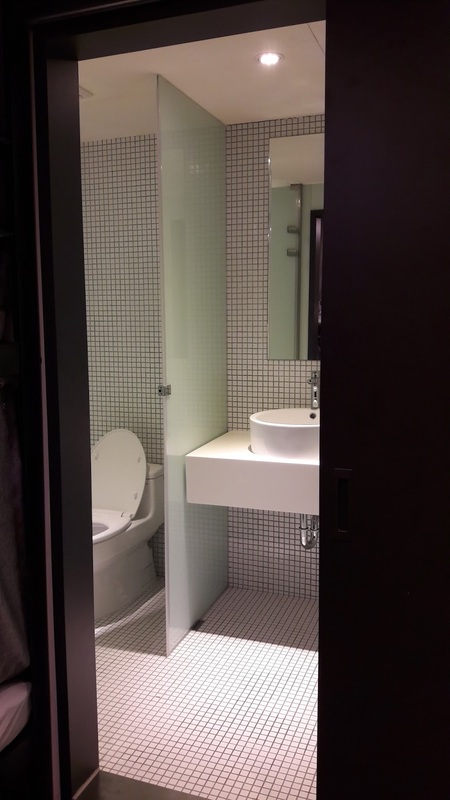 May 14 : Singapore, 1-night stay at Bliss Hotel in Chinatown, in front of Chinatown MRT station – S$ 128/ 1 night/ twin room with private bathroom – no breakfast. MRT in Taipei &amp; Kaohsiung : NT$ 12 – 30/trip depending on distance. I recommend to buy Easy Card for faster access to MRT &amp; buses and save transportation expense. The card costs NT$ 100, non-refundable. Taiwan High Speed Railway (THSR) : take HSR for a long trip as far as Taipei to Kaohsiung (Zuo Ying station). 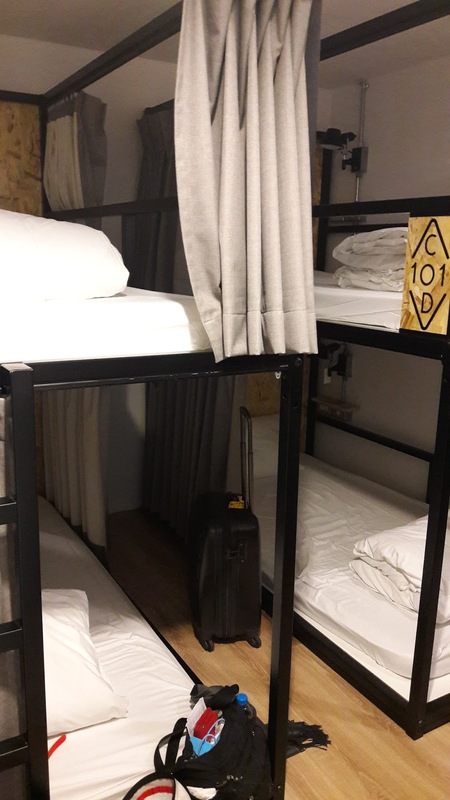 I bought the HSR ticket at Backpackers Hostel and got 20% discount (normal price almost NT$ 1,500). Taiwan Train : No need to book in advance for this. Just buy it at the ticket counter and ask for the earliest schedule to your destination. The train costs me around NT$ 100-200ish/ each trip with reserved seats. Sometimes they sell non-reserved seat tickets for short distance travel. Bus : I took bus from Chiayi to Alishan and from Taichung to Sun Moon Lake. Chiayi – Alishan : NT$ … /person/single trip. Bus station located in front of Chiayi train station. Taichung – Sun Moon Lake : NT$ 189/person/single trip. Bus stop in front of Taichung train station. Sun Moon Lake – Taichung : NT 500/single trip by taxi. Taoyuan Airport – Taipei Main Station (city centre) : NT$ 125/person/single trip by airport bus. Buy ticket at a counter near the bus stop at airport exit. You will never have to worry about meals in Taiwan. There is either street vendor or convenient store (7-11, Family Mart, Hi-Life) at every inch of Taiwan. 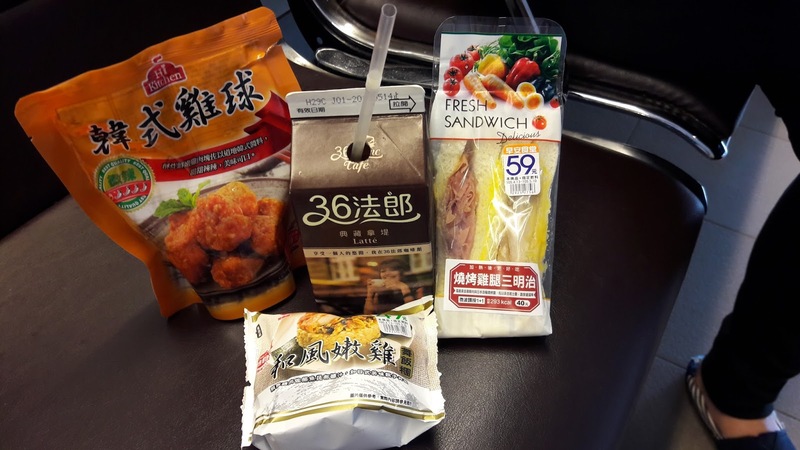 At late night or early morning, the convenient stores are still open and provide sandwiches, sushi/onigiri, kuo tie, fried chicken, fish meatball and even bento box. The store assistants always offer to heat it in the oven. The prices are reasonable (around NT$ 20-100). It’s been a while since my last post, hasn’t it? 🙂 I have been wanting to write another post SO DARN BADLY! But I was quite busy trying to find a new job (YES, you got it right! A NEW JOB!) So, what happened with the Italian restaurant I worked before? Well, I will tell you about this in the next post since it’s not very relevant with the topic I’m going to talk in this post. Recently, I have noticed that there are actually loads of positive experiences and reviews from working holiday makers about Working Holiday in Australia (WHV). It seems like 99.9% of them talk about how much money you can earn and save when working in Australia, and also how easy it is to get jobs here, and so on and so forth. I don’t think it’s healthy to only give sweets and candies to kids, as it is not fair to only give sweet dreams to all WHV prospects (people who are interested in WHV Australia) without letting you guys know the downside of WHV. Guys, believe me, EVERYTHING comes with PRICE! By writing this post, I don’t mean to discourage any of you to come for working holiday here. I just hope you will be more prepared (mentally and of course physically!) than I was before. Here we go! Most working holiday makers, especially Asians, want to live in the city. And of course as the result of high demand, accommodation in the city center is very expensive. If you want to have a private room in the city, you have to spend around AU$300-400/week. Can you calculate how many hours you have to work only to afford your accommodation? For the sake of saving money, many of us (including me right now), must be willing to live in a shared room. And most of us usually have to share a room with 3 to 4 other people. Sometimes even 5! Trust me guys, it’s not the most comfortable accommodation we live here. Here’s the picture of my current room. For just a triple room, we pay AU$190/week. However the price may vary. For a triple room, it usually costs around $150 to $190 pp/pw depends on the building and location. 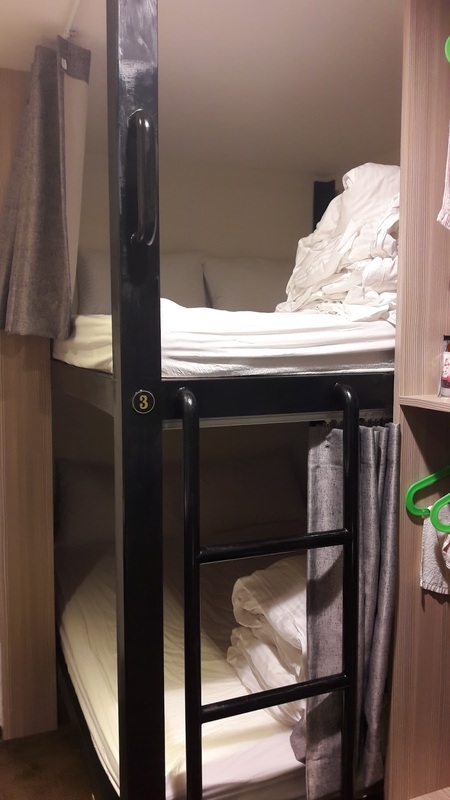 Those accommodation that costs AU$120-140/week are usually shared between 4-5 people with bunk bed. I currently live in the master room of a 2 bedroom apartment. FYI, there are 9 people living in our unit! So yeah, some people live in the living room. Here’s how it looks like. Now I believe you can start imagining how ‘clean’ you can keep an over-crowded house. Personal space is so damn expensive in Australia, guys! We have sold all our privacy and personal space in exchange for a few bucks. From the rules set by the Australian government, standard hourly wage in Australia is about AU$18 before tax. OK then approximately we can earn about $15.3/hour after tax or maybe even $16. The former working holiday makers might have shared that they earned around $20 an hour and well, this actually made lots of people (including me), think that getting $20 an hour job is soooo easy peasy! In reality, we never really know what kind of jobs they had been through before getting that decent-paid job. Right now there are just TOO MANY backpackers and also foreigners coming on student visa competing in Australian job market. Lots of our working holiday friends from Indonesia (and even from other Asian countries) work for $11-14 /hour cash jobs. If we don’t take the job, there are still many other job applicants willing to do it just for the sake of not being jobless. It is even more challenging for us, girls. Our friends who claim they earn $20/hour mostly work as a kitchen hand. At least as far as I know, in Australia, employers prefer male workers to do this kind of jobs since it is SUPER exhausting! Selain itu, kalau menurut temen2 saya yang kitchen hand juga, biasa orang bule gak mau kerja jadi kitchen hand karena capek dan berat banget gilak! Jadi otomatis di kategori pekerjaan ini kompetisi nya lebih sedikit karena cewek2 dan bule2 gak ada yang mau atau mampu kerja sebagai kitchen hand. At the end, jobs that are available for us, girls, are waitress and cafe all-rounder. I’m not saying this is the only job we can do, I’m just saying that this is the kind of job that is mostly done by female working holiday makers or students. And also the most common job advertised on Gumtree. Nah, kalau ngomongin gaji sebagai waitress atau all-rounder cafe itu tergantung employer. Kalau boss nya orang Asia, kisaran gaji sekitar $11-15/jam. Walaupun pasti ada aja yang beruntung dapetin boss Asian yang baik dan murah hati dan dapat gaji sesuai minimum salary yaitu $18/jam. Sedangkan untuk western employers, biasanya sih sudah sesuai standard minimum salary, bahkan di atasnya. Buktinya, temen2 waitress saya waktu di restoran Itali kemarin bilang kalau gaji kita yang $19/jam di restoran itu tergolong kecil. Karena menurut pengalaman mereka, masih banyak restoran, kafe dan bar disini yang menggaji lebih dari itu. 3. A casual job in hospitality actually requires 2 years of experience! Or at least, that’s what is commonly written in job ads on Gumtree. At first, I was shocked and couldn’t stop thinking WHY do I need years of experience just to apply for a job as a waitress or cafe all-rounder (atau bahasa kerennya: babu serabutan kafe!). But after working in the industry for a few months, now I understand why. Hospitality is a very fast paced industry in Sydney. Customers only have a few minutes to get their takeaway coffee and an hour for lunch break. This is why rush hour in Sydney cafes and restaurants is very crucial for the business. Every cafes and restaurants want to get as much as possible and so they push their staff to the limit during these peak hours. And they really can’t bother to give extensive trainings to new staff for a very good reason too! Because most backpackers (including working holiday makers), won’t stay long term with them. Most backpackers don’t really care about doing the job well, and working holiday makers can only stay for 6 months to a year. So, why risk losing customers only for the sake of training inexperienced staff? To compensate the low salary, most employers would give long working hours to the staff. Many of our friends are also very happy to take a second and even a third job to earn more money. You may have heard these friends can earn up to AU$1000 a week in Australia. But, have you ever wondered how many hours and how many jobs do they actually work? What time do they get up to work and when do they come back home from work? Time is money in Australia, the more hours you work, the more $$$ you make. Once again guys, I’m writing this post NOT to DISCOURAGE you to come for a working holiday in Australia. I just want to give you another perspective on this and hope you to be better prepared than I was. I mean, I was of course prepared to do a waitress job in here. But I just wasn’t prepared to do a long hour work and save money by sharing my room. As you might have known, I’ve just moved to Sydney 3 weeks ago. In the previous post I have talked about my first impressions on Sydney, Australia. And in this post, I’d like to share some tips on what to prepare before your departure to Australia, especially if you’re coming to Sydney. I will talk about things to pack since it’s not a cheap place to live in, so you want to to be extra careful with money here. In the next post, I will talk about budget you need to prepare before your departure for Australia (especially Sydney). Many things are indeed expensive here. But, some things are not that expensive that you HAVE to bring it all the way across the continent just to save a very few dollars. Before doing all the packings I also did a little research from other working holiday visa makers, especially the Indonesian ones, just to get some ideas of the daily supplies that are expensive in Australia. But apparently, I made LOTS of mistakes. I bought and brought too many unnecessary things back in Indonesia that I couldn’t even manage to pack all of them into 30kgs baggage! 1. Bed sheets –> OK, it’s probably also a good idea if you check with your landlord/housemates if these things are provided in the rent and if they are brand new. If you want to buy it here, its price is around AU$ 18 to $22 for a single-sized bed sheet. Compared to the price in Indonesia, I think it’s a bit more expensive since I can get something better in quality or bigger in size for similar or cheaper price. 2. Light blanket –> same with bed sheets, check with your landlord/housemates first if this is provided in the rent. But usually we’d rather bring our own blanket for hygiene reason. If you want to buy it here, in K-Mart and Target they sell it at around AU$ 10-12 for a fleece blanket. It’s soft and cozy enough for 18-22 degree evenings. 3. Light jacket/cardigan –> except if you come in winter. You’d want to bring your winter coat instead 🙂 If you come in the summer like me, you still have to bring at least 1 jacket and 1 cardigan. The weather is usually nice and sunny in Sydney, but it also gets windy and cool sometimes. 4. Lots of casual tee shirts/tank-tops, polo-shirts, shorts and jeans –> they’re wearable almost everyday and you don’t want to spend your AU$ on just casual wears like these. 6. Other types of clothing –> it really depends on what kind of jobs you target. If you want casual jobs in cafes/restaurants, you won’t really need them. In my case, I brought quite a lot of business attires to prepare for job interviews. Toiletries –> you can easily find toiletries here and buy them cheap at Chemist stores. One of the most famous for its competitive price is Chemist Warehouse. Check out their products and price on: Chemist Warehouse website. Perfume –> there are many brands of perfume with SUPER cheap price also at Chemist Warehouse. I bought my Taylor Swift perfume for just AU$ 10 (30mL)! Detergent –> although detergent is indeed a bit expensive here, around AU$ 5-10 (compared to the price in Indonesia), some landlords already provide this and other cleaning supplies in the property. You might want to check with your housemates/landlord first. In this post, I’d like to share the details of my travel itinerary in Taiwan from last year. In my previous post, I’ve shared the rough itinerary, budget and tips & tricks on transportation and food in general: read my other post. Right now I want to give a more detailed explanation on the objects we visited in each city and I’m going to start with Taipei. Hair salon : well, the very first thing I did when I arrived in Taipei was indeed going to salon to get a haircut and perm. There’s no salon in Jakarta that does it as good as they do it in Taiwan. Besides, the service costs very cheap compared to most salons in Jakarta’s shopping malls. You can just walk into any salon in one of the famous night markets like Shida or Gong Guan. They usually have quite similar quality of service and price. If you’re lucky, sometimes they have special promotions too on selected service. I got my hair cut and permed for only NT$ 2,000. The curls are still in pretty shape until now (since May last year!). 2. Taipei Zoo : it’s a good place to visit with the family. Plus, the entrance fee is very cheap. I think it only costs around NT$ 30 for one person. The zoo is very well-maintained and has quite a lot of species including: koala, penguin and Chinese panda. 3. Chiang Kai Shek Memorial Hall : This is a complex of a few historical buildings. In one of the buildings, the Taiwanese tell their independence story through pictures, old clothing and car. Other buildings are used for musical or art performance, including international artist’s music concerts. The entrance is free of charge. 4. Yang Ming Shan National Park : this national park is located on the outskirts of Taipei in Shilin District. It’s a nice place to do light hiking and just enjoy the view of the mountain. As far as I recall, in the beginning of spring there’s a flower exhibition at one of the entrance. It’s very easy to go to Yang Ming Shan. Just go to Shilin night market or MRT first. Then you can find a few buses that go to Yang Ming Shan. 5. National Palace Museum: this one is also located in Shilin District. From Shilin Night Market, there are one or two buses going through the museum. There’s also a bus stop in front of the museum so you don’t have to walk too far to get into the palace. The palace is enormous and consists of loads and loads of artifacts from ancient China. It is told that the Chinese (mainland) people who took refuge to Taiwan brought them. If you take a guided tour or an audio-guide, you will hear many interesting stories about the Chinese history here. It costs NT$ 250 for general visitors and it’s worth every penny! OK, the fried chicken actually has been one of my biggest guilty pleasure ever since I tried it in Taiwan! I always had it at least 1-2 a week when I lived there. It was soooo GOOOD!!! I was quite addicted to it! For me, the best fried chicken is the one sold at Shida Night Market. I think the name of the vendor was Shida Fried Chicken, it was run by an uncle and his wife. Fried chicken usually costs around NT$ 50-60. Luwei was also one of my favorite street food but I always had to share it with friends. It is a mix of vegetables with dumplings, pork meatballs, instant noodle and tofu skin. There are still other side dish to mix in Luwei, you get to pick your own mixture and let them dip all the mixture in that special soup and pour it with some ketchup. The cost of luwei varies depend on what you choose and how much you want it. Mine usually cost around NT$ 120 – NT$ 180. It is very famous because it’s delicious and easy to carry. I must say that actually most bentos in Taiwan are not bad if not delicious. But when you want to take Taipei HSR, it’s worth to try the bento and eat it while you wait for your train. I think it costs around NT$ 120-130 a box with choice of beef, chicken or pork. OK, maybe I was too early to start my room search. I started looking around the websites such as: Gumtree and Flatmates 3 weeks before I actually arrived in Sydney. Nobody on Gumtree bothered to reply my message AT ALL! 1 or 2 people on Flatmates replied only to say that they could not wait for 3 weeks. So, I waited until it was less than 2 weeks left before my arrival. Still only a few more people responded to my message. My friend who lives here also helped me texting some other people on Gumtree (via SMS). There was more response but still not more than 60% response rate. She also helped me do the inspection, but at the end, the landlord gave it to the person who’d move in sooner. It is totally understandable why people don’t like to wait for the next tenant to move in. Room rent here is very expensive (the rate is per-week, not per-month! ), less tenant in the unit means more costs (sharing bills and full-house rent) to existing tenants. More information on accommodation costs can be found on the websites that advertise them: Gumtree/Flatmates. After a lot of drama (read: almost got scammed 2x!) and anxiety, I finally found an ad on FB group. The ad was posted by an Indonesian male that looked like student.It was already 2 days before my arrival to Sydney. 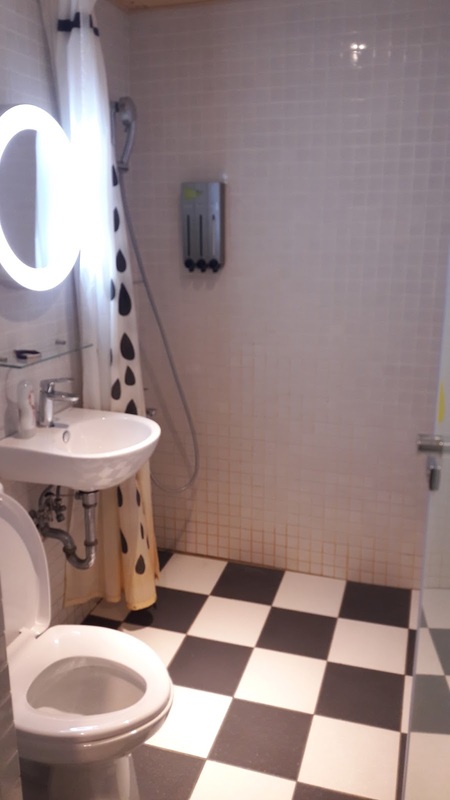 My friend helped me text the number on the ad and the landlord finally skyped me later that day to show me around the house and room. I immediately liked it and decided to book the room. FYI, the landlord is also an Indonesian. Coming from similar home country of course helps a lot in finding a room here! Well, actually the most confusing transportation system that I know by far is in Indonesia (read: Kopaja/Metro Mini/Mikrolet). In Jakarta, there’s no bus stop (except for busway), no schedule and no fixed route (sometimes bus drivers will skip some area just to make a shortcut). However, bus system in Sydney is also challenging if you don’t have a smartphone with GMaps with you. The bus stops are nicely maintained. There is sign what stop it is and which bus stops there and there’s also timetable too (which I think is pretty reliable). But once you’re in the bus, you don’t know where you are right now and what the next stop is. There is no digital sign nor driver calls the name of the stop. In Taiwan, you’re not going to lose it since there’s at least a digital sign showing current and next stop in Mandarin Chinese and English. There are some factors that make it look and feel like Singapore, except for the fact that people here are much more friendly. First of all, it is a melting spot of people from many different races, cultures and countries. I hear a lot of languages spoken in the city and see varieties of food is sold in food courts and restaurants. Second, the most famous tourist spot is located in the heart of the city, just like Merlion in Singapore. And there is also a restaurant/cafe by the quay that views the Harbour Bridge. Third, the city is very metropolitan with modern style buildings. Though there are also several old-style buildings that remind me of Europe, like the State Library, St. Mary’s Cathedral and a few hotels. 4. Fruits and veggies are pretty cheap super fresh!